We are pleased with service. Every trip has been thorough and professional. Recommendations have been made and good explanations as well. I have been very happy with Paramont pest. control services for 10 plus years Ernest, my technician is efficient ,polite & friendly. He asks for my input about bug & other observations. He covers his shoes with paper booties to prevent tracking dirt. We have been customers of Home Paramount for some time, and it has provided outstanding service. Our service representative, Lamar, is just extraordinary -- very professional, knowledgeable, friendly, and courteous. Really annoying to be asked to review. Eric has serviced our home in McLean for years. He is always prompt and courteous and very knowledgeable about pests. Excellent service always. Thank you. We have used this company for termite and inside pest control for several years now. Staff is always thorough and courteous. We have had no infestations of the common critters and no termites due to their management. We have been a valued customer for more than 10 yrs. The service is great and our guy is the best. Paramount has a reminder call to let you know day and approximate window they are coming by your residence. great job, would highly reccomend the Falls Church Office. Yes we are pleased with the service you provide. We are very satisfied with the Technician who treats our home quarterly, and comes frequently when additional service is needed. I am particularly pleased with Lamar Norman. He’s very flexible and always helpful. Very prompt, clean, and thorough. Great company with fabulous customer service!! 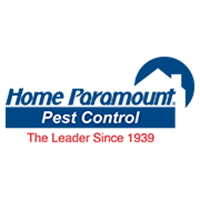 Highly recommend using Hone Paramount Pest Control. Home Paramount has been wonderful to work with. Always arrives on time and is in and out quickly. Highly recommend! We are very happy with our serviceman. Ernest is a very hard working and honest employee. We find him to be helpful and very knowledgeable about his job. Gets the work done, quick in and out, not disruption in my day. My technician Lamar is always available when needed. He does a thorough job and answers all my questions. I trust his inspections and the information he gives me. Our techinican responds anytime with have an issue, schedule or not. Really appreciate his diligence and concern. I've been a customer of yours for a few years now, and Sonny has done a consistently terrific job. It is always good to have him over to keep pests out. Lamar is a wonderful technician, and it is a delight to work with him. You all are great! Thanks for taking such good care of my home. Wife says they were good. Mr.Pedro has been servicing our residence and rental properties for many years and he has always been courteous and on time. Awesome service! Professional, accurate, knowledgeable personnel. Thanks so much! Service good, but have asked to have the visits scheduled in advance!! We aren't always home and may have other plans if we are. If you would schedule in advance, preferably by email or text, the rating would be excellent.